Lighting is lighting. So tautology says. Lighting is a mood, a feeling, an experience. So we say. From the flickering flame of a lantern to the titanium filament bulb, from lava lamps to wall and pendant lamps, from LED fairy lights to LED strips and panels – lighting has traveled a long way, becoming increasingly customized, cost effective and energy efficient. Illumination is just as much the art of aesthetics as it is the science of functionality. And when the two come together, they create the perfect experience. Differing between and varying within the personal and professional realms, lighting sets the tone for the day and the vibe for life. 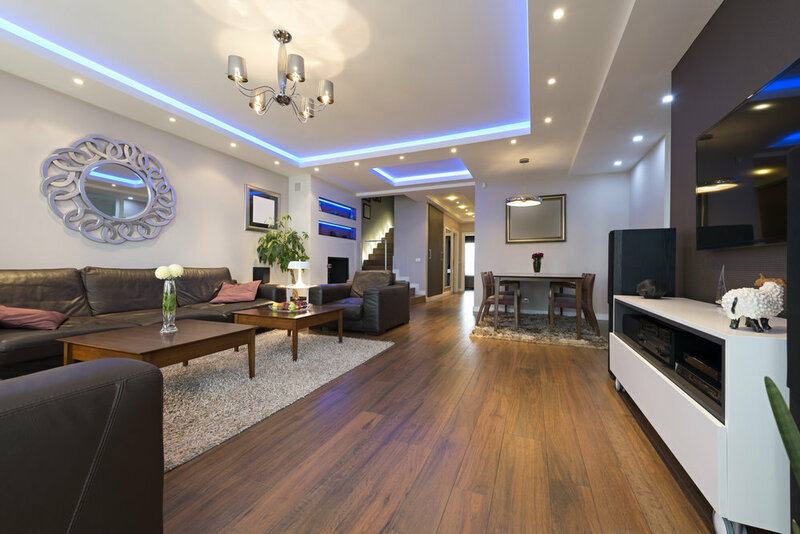 The arena of home LED lighting has a diverse and extensive range of options.From basic LED tube lights to LED panel lights, there’s something for every mood, every budget, and every requirement. This could be your study room or your desk area – a place where you need bright illumination to keep you alert, awake and focussed, and to enable you to read and write without strain to your eyes. For such requirements high brightness, functional lighting may be what you need. Work areas should have an expansive source of illumination to light up the entire room, coupled with a smaller, direct source that will cast a targeted glow on your notebook or keyboard. Table lamps with LED bulbs are a great option in terms of energy efficiency, cost savings and brightness. These lovely little illuminators, complemented with an LED light tube like the smart battens from Havells, make for a tastefully well-lit work area. If you like to take occasional breaks between work tasks, you can choose a dimmable batten to give your eyes and your mind a rest. Whether you want to lie back against some soft cushions, curl up with a book, or share a hot cup of coffee with your family and friends, a space to unwind needs to complement the special pleasure of relaxation. Subtle mood lighting can cast a warm glow on a room, transforming it into a place of tranquility. This ambient serenity augmented by earthy or pastel tones, will truly lead you to a peaceful state of mind. Decorative lights like downlighters and spotlights are ideal for creating such an atmosphere. Available from Havells in hues such as Warm Daylight and Natural Daylight, these luminous options create indoor magic no matter the time of day. There is nothing quite like surrounding yourself with beauty. Your home speaks to you if you give it the right voice. Decorating your home is not just a pleasurable process, but also results in a sense of belonging and the joy of creating an experience that truly represents you. From decorative lights like ornate wall-mounted lamps to intricately designed lampshades filtering a warm luminescence, from low-hanging pendant lamps in bright shades to LED strips that adorn snug little coves and corners – aesthetic lighting gives your space a personality. For smaller spaces or more minimalistic décor, an LED panel light is the solution. LED recess and surface panels from Havells are energy-efficient and glare-free home LED lighting solutions that seamlessly blend into any kind of décor. The space around you lives and breathes, and in turn dictates how you feel and function. The right lighting can be the simplest and yet the most effective option. So, light up and soak in the inspiration!